I believe this is the first one I noticed. The sticker on this battery is taken from a Kirkland Signature battery, with part of the brand name clearly visible. Kirkland Signature is the house brand of Costco, a popular wholesale retailer in the U.S. It’s a store where you can buy bulk quantities of goods for a lower price than if they were sold individually. It used to be headquartered in Kirkland, Washington, which is the origin of the name. Kirkland happens to be a stone’s throw from Bellevue, Washington, where Valve is located. Costco used to use the “Item #” on the side at the checkout counter, manned by two people, with one clerk shouting the number and the other entering it into the register. At some point, this was replaced with generic UPC codes. 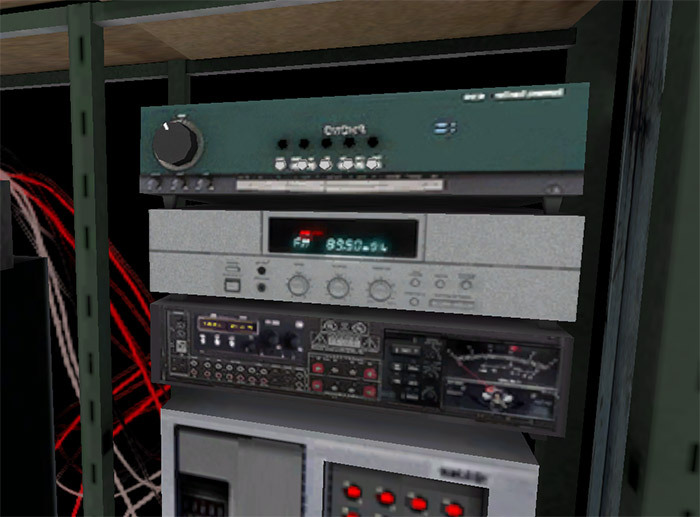 This prop, found in Kleiner’s lab, has a radio tuned to FM 89.50. KNHC, also known as C89.5 FM, is a Top 40 dance music station that has the noteworthy distinction of being run entirely by students at Nathan Hale High School in Seattle, Washington as part of a radio production elective. The radio station can be heard in a small radius around Puget Sound, but also streams live to the Internet. As a result of its unusual status, the station operates with no commercial interruptions. This choice of station may be a coincidence, or perhaps someone at Valve was a fan. This paper bag is based on a McDonald’s bag from the early 2000s, which featured athletes, possibly to coincide with the 2004 Summer Olympics, of which McDonald’s was a sponsor. This styling was used for a while. I remember having a large plastic cup with a skater on the side. The large question mark on the side is what gave it away for me, because it was accompanied with “How are we doing?” and a phone number back in the day. The large dumpster prop has a faint label on the side that reads “Sunset Scavenger Container Service.” Despite sounding like something from Fallout: New Vegas, Sunset Scavenger is a waste management company that operates in the San Francisco area. At some point, they changed their name to Recology and now focus on recycling. I hope you enjoyed this look at hidden references in props. This is by no means an exhaustive list. How about you? Have you ever seen cheeky real-world references, accidental or intentional in Half-Life? Why not share them with the rest of us in the comments section? I haven’t been able to examine a lot of textures in tremendous detail recently but I’m sure that I’ve found a few that have made me chuckle. Neat to see this isn’t just me then. 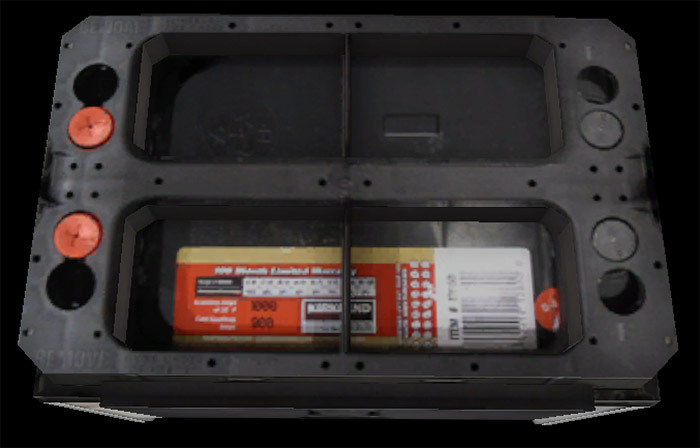 Off the top of my head I didn’t know of any in HL2, and it’s hard to browse the props these days with the model viewer’s black background, but I went looking through the texture browser and found something interesting. 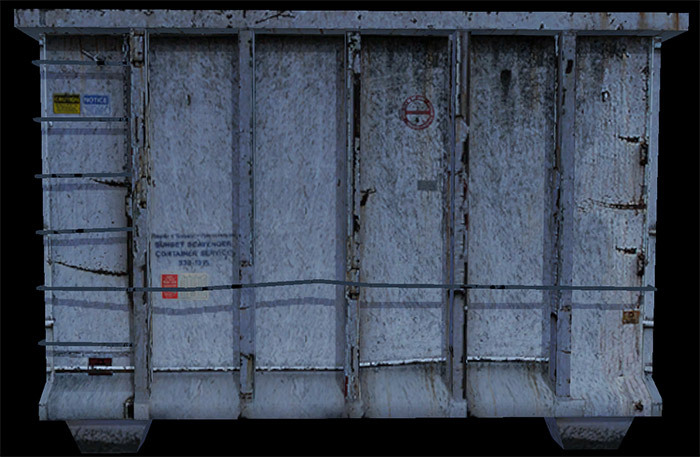 I couldn’t find any reference material with the logo seen in game, but I found a photo at http://iloveyoulouisiana.com/post/65256852099/containerization-ssi-container-on-a-train-in that features the same typeface. Nothing else caught my eye that I was able to trace, but there’s mention of a “Cross Alarms” in wood/wooddoor013a, and it looks like it was part of the texture’s base photo that didn’t get altered. I can’t find any info about them, or additional photos, so I’m assuming it’s just a local security company whose presence wouldn’t raise the legal department’s hackles. I’ll keep poking around and see if anything more presents itself. So is it confirmed that after the combine invasion in 200-, McDonald’s is still around and run by Advisors? 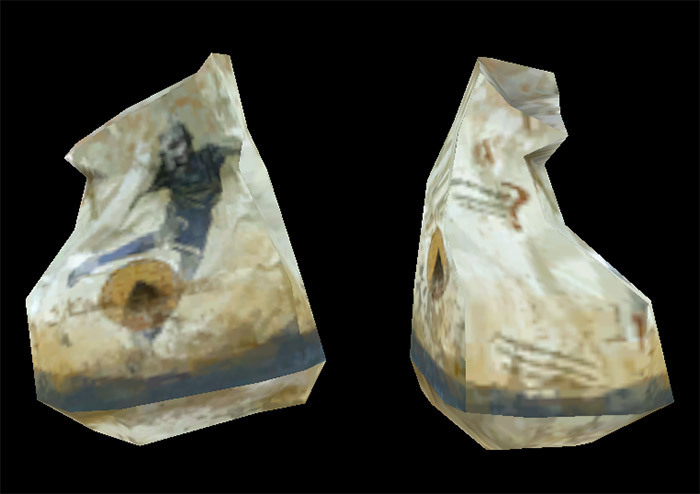 And they haven’t changed the bag in 20 years; they’ve just taped Metrocop heads onto them? Now there’s a map idea! Killing the head Advisor of McDonald’s. Ha! I didn’t even notice that it was a metrocop until you mentioned it… well spotted. WOW! I just loved this post JG. I think I really love real life connections inside the HL universe, no matter if they’re not properly mean something relevant to the HL world. One thing that amused me, in HL2 precisely is the eastern Europe references; and some strange brands of products you may find in the HL2 universe; for example “Baltic Café”, or a reference to Trans Siberian Train. But one single brand in particular have make scratch my head many times, and it’s the “IVAD” brand in the white home refrigerators we find in HL2, it’s weird because the fridge looks like an old soviet model, so I think that prop may have had taken some inspiration from soviet fridge manufacturers. Also in Episode 2 is quite easy to see how Cyrillic alphabet disappears and then some Swedish words appear in the signals and the fuel stations. There was a thread on the Half-Life Reddit a few weeks ago that had a lot of the wrecked vehicles in HL2 alongside their real-life counterparts. It was pretty fascinating, since they are mostly unaltered. They are mostly cars and trucks that would be obscure to American audiences, but familiar to Europeans, I’d imagine. Over the last 8 or 9 years i have released quit a lot of HL2 sp-mods, and i dare to say that i know about each model by name and number. Even so much that most of them i don’t want to use anymore simply because i used them already way to much. And, most gamers will have seen them also way to much after having played a ton of mods. I agree. I think one of the things that keeps me trapped in HL2 modding is familiarity with where everything is and what it’s called. I can built rooms already knowing what textures I’m going for. I already know what props are at my disposal for any situation. I profess to feeling somewhat lost when I mess with other Source/GoldSrc games as a result, not knowing where things are. Black Mesa, for example, has over 5,000 props compared to HL2’s 3,000 across Episodes. Its naming scheme isn’t entirely consistent either. Some things follow HL2 naming, while others keep their old HL1 names (i.e. “fifties” for anything Office Complex-related). At the same time, it also makes things predictable sometimes and then it feels like tedious work. How many times you can place garbage decals underneath dumpsters? That’s why every project I do tries to add something new to figure out, to keep my own interest up, whether that’s friendly Antlions or custom particles. I feel Black Mesa arrives at a good time for me, because that strikes me as a lot of new things to try while still building on what I already know, just HL2 modding is getting to feel a bit samey for me.